Commercial diving is a difficult and dangerous profession. According to the Occupational Safety and Health Administration, an average of six to 13 commercial diving fatalities occur each year, corresponding to a risk of between 28 and 50 deaths per thousand workers over a working lifetime of 45 years. The sensation of water in the ears. Redness or swelling of the ears. Blood or fluid oozing from the ears. Pulmonary barotrauma. This lung overexpansion injury occurs when a diver doesn’t exhale properly or holds his breath during an ascent. When compressed gas in the lungs expands as the diver ascends, it can cause the lungs to rupture with little warning. Pulmonary barotrauma can lead to serious medical conditions, including emphysema and arterial gas embolism. Common symptoms include difficulty speaking, chest pain, and discomfort while swallowing. Decompression sickness. This is the result of a drastic increase in surrounding pressure, and it most frequently occurs when a diver goes too far underwater or stays down there for too long. Decompression sickness is a serious condition which may lead to brain injury, paralysis, blindness, or death. Symptoms typically manifest themselves within one hour after surfacing, and may include dizziness, joint pain, fatigue, itching, and skin rash. With every dive, offshore workers rely on their employers and vessel masters to keep them safe. When a diver employed aboard a ship is hurt, his injuries are generally covered under the Jones Act. If you’ve been injured while working as a commercial diver, you need professional representation by an experienced maritime attorney. To learn more about what the law offices of Steve M. Lee, P.C., can do for you, visit us on Facebook. 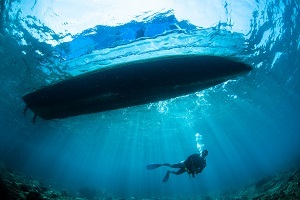 What’s Causing Commercial Diving Accidents?